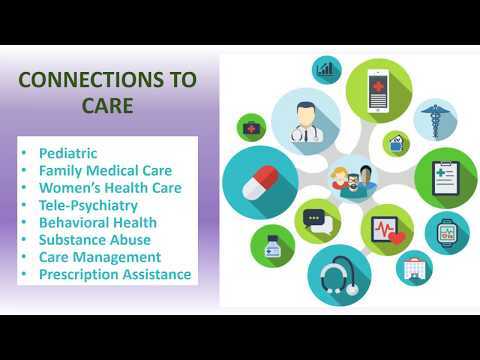 Founded in 1988, Health Services of North Texas (HSNT) works to improve the quality of life for all North Texans through medical care, support services and advocacy. 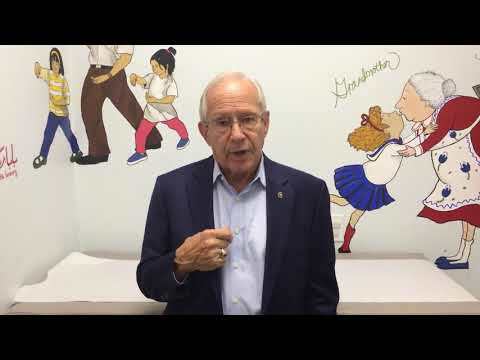 Plano Children's Medical Clinic and Wylie Children's Medical Clinic provide primary medical care for children infant up to 18 years-of-age who do not have the ability to pay for healthcare. The Collin County Center provides medical care and support services for people with infectious disease such as HIV/AIDS and Hepatitis. Health Services of North Texas (HSNT) is ranked in the top 30% of all health centers nationwide with the Quality Leader recognition by Health Resources and Services Administration. This is the third time in five years HRSA has recognized Health Services as a Quality Leader. Community Health Centers were established more than 50 years ago to serve as the safety net for those unable to afford healthcare. Health Services of North Texas, Plano Children's Medical Clinic, Wylie Children's Medical Clinic and Collin County Center deliver medical care to the poor who are uninsured and publicly insured through 8 community health centers in Collin and Denton Counties. The working poor must make impossible choices every day. Parents, working multiple part-time jobs at minimum wage without health insurance, are challenged to decide between paying rent, buying groceries, repairing a car, or taking a sick child to the doctor. Medical care is frequently delayed until the issue escalates requiring more attention and care. Without a public hospital in Collin or Denton County, the poor are often forced to rely on hospital emergency rooms or urgent care centers because many do not have a medical home with a primary care provider, like HSNT. This results in cities and counties absorbing approximately $21 million of unreimbursed healthcare costs for uninsured individuals. HSNT's care team is united by a common philosophy - the needs of the patient come first. This philosophy has served us for 30 years and is reflected in our dramatic growth of patients treated and patient visits in Collin and Denton Counties. HSNT makes databased decisions based on our patient needs, strategy, quality standards and goals. A young family moved to Plano with two elementary-aged sons. Their dad had a full-time job, but his company did not provide medical insurance for the family. They first visited PCMC after a friend recommended the health center for their sons' immunizations. However, because they were new to the area, they did not know about the range of services available at PCMC. One weekend, their 9-year-old became ill with severe stomach pain. They tried over-the-counter remedies, and some relatives recommended old family recipes as cures. By Sunday evening, the pain had gotten worse, but the family did not have the money to pay for an urgent care visit and did not feel they could afford a trip to the hospital ER. The friend who had previously recommended PCMC suggested they go back for their son's stomachache. They returned to PCMC on Monday morning. The medical provider performed a clinical assessment, and quickly determined that the boy most likely had acute appendicitis. The provider told them to go immediately to the ER and not to worry about getting in due to lack of money. The medical team at PCMC called ahead to let the emergency department know the family was on their way. When they arrived, the ER was expecting them. They took the boy back for testing right away, and agreed with the pediatrician at PCMC. Within hours, the young boy had surgery, and they found that his appendix was on the verge of rupturing. They had arrived at the ER just in time. When the family returned to PCMC for a follow-up visit, they told the provider how thankful they were for his care and quick thinking. The boy's mom had tears in her eyes when she said that the care he received at PCMC truly saved his life. Shana owned and managed a small local shop and had two children with her husband, David. He had recently lost his job, which was the main source of their family's income. With David out of work, he and Shana were now without health insurance. Shana had been experiencing stomach pain for some time, but she knew she couldn't afford a visit to her previous primary care doctor. She found her way to HSNT's Denton Medical Center through a referral from a friend. Based on her exam, the doctor at HSNT had some concerns that her symptoms were more than just a stomachache. He had her conduct a stool test to help determine the cause of her pain. The test results screened positive, showing that she would need further testing for certain types of cancer. The HSNT team referred her for testing at Moncrief Cancer Center. Moncrief performed a colonoscopy, at no cost. Unfortunately, the colonoscopy confirmed that she had advancing colon cancer. Moncrief, through their network of doctors, was able to perform the surgery and follow-up treatment Shana needed without any cost to the family. Shana has now recovered and is doing well. She has returned to work and is happily managing her shop once again. Even though David has found another job with health insurance benefits for the family, Shana is still a patient at HSNT because of the quality care she continues to receive.